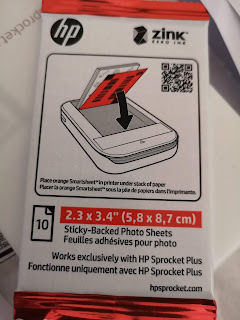 Chitambira's Blog: HP Sprocket Plus: An ultra portable photo printer showcasing the future! 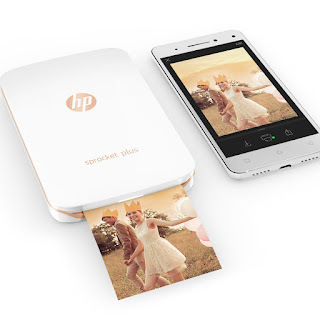 HP Sprocket Plus: An ultra portable photo printer showcasing the future! The HP Sprocket Plus, is an ultra portable device, that is showcasing what the future of photo printing is like. The technology is very sound and the pictures are convincing. The Sprocket Plus has external dimensions of 141.9 x 89 x 18 mm (5.59 x 3.50 x 0.71 in) and weighs only 0.205 kg (0.45 lb). It can print photos of size; 2.3" x 3.4", which is 30% larger than the standard Sprocket. 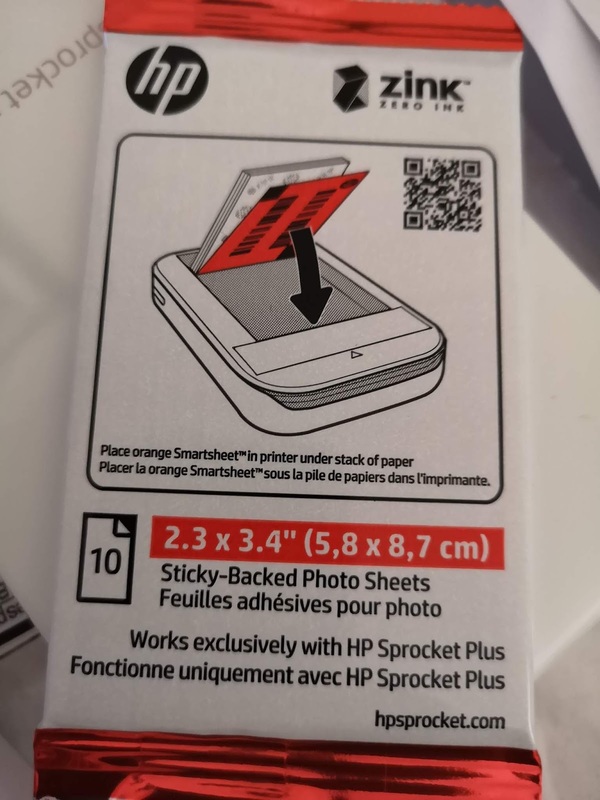 HP Sprocket Plus, showing size relative to a standard mobile phone. Setting it up is a breeze,and its operation is straightforward, with the Sprocket App that is available on both Android and iOS. It is enough to know that you can take a photo on you phone and make a couple of presses to print that photo to the sprocket. Mine came with 20 Photo paper and 10 sticky-backed photo sheets. The sticky-backed sheets are a fun addition to this device. It means you can now be able to print your own stickers, yes, that's right, stickers. The size is not big enough for framed photos, but not small enough for kids stickers, so I will call these “Adult stickers”. Fun uses for these stickers could be DIY postcards, wallet stickers, luggage stickers and memoir or travel book photos. For the creative types, this can be a very useful feature, making the Sprocket Plus a fun, ultra portable , social and creative gismo. I know some may have questions about the quality of the photos, so I will say my opinion so that you may be guided. These photos are nothing near the quality of professional photos printed on photographic paper. But as a guide, the quality is comparable to 1990’s film-based camera photos which were commonly printed on Kodak paper. Some of you may still have such photos in your drawers, so you should rest assured you will get something similar from this device. This device does not require cartridges, and for that reason, I will say the price for it (retailing around £160) is not bad at all. I am yet to get authoritative information on the durability of this device, but a 2 year warranty will be enough for such a device. Having said all this, I expect HP and other Tech companies in this niche, to take this technology further, to bring newer models that are capable of printing bigger photos, with much improved quality.